Dr. Maeve O’Connor provides a more progressive approach for treating allergy, asthma and immunology patients. She is Board Certified by both the American Board of Internal Medicine and the American Board of Allergy and Immunology. She is one of only three specialists to have completed the University of Arizona Fellowship of Integrative Medicine, and has been selected by her peers to be included in the Best Doctors of America database from 2011 to currently. Dr. O’Connor has been one of Charlotte Magazine’s “Top Doctors” for both Adult Allergy/Immunology and Pediatric Allergy/Immunology from 2007-currently. Additionally, Dr. O’Connor is listed in North Carolina’s Best Doctors. She treats patients of all ages and is fluent in Spanish. Dr. O’Connor is the only board certified allergist in the region offering sublingual immunotherapy, and is the only board certified allergist in Charlotte performing clinical research. She has published research articles on desensitization immunotherapy, asthma, and food allergy. She is currently involved in clinical research of asthma, allergic rhinitis, immune deficiency and novel treatment for atopic diseases. Dr. O’Connor performs volunteer Annual Asthma Screening events to help identify those patients in the community who may have untreated asthma. She also participates in Physicians Reach Out, a nonprofit outreach program that provides free primary and specialty medical visits to eligible uninsured residents in Mecklenburg County. Dr. O’Connor lectures extensively on all subjects involving allergy/immunology locally, nationally and internationally. Dr. O’Connor is a Fellow of the American College of Asthma Allergy and Immunology, where she currently serves on the Board of Regents, and as Secretary of the House of Delegates. Dr. O’Connor is originally from South Carolina, and she and her husband enjoy traveling, cooking, decorating, throwing dinner parties with close friends and volunteering in the Charlotte community. They have one son. The AAIR team is committed to providing excellent allergy and immunology care for infants, children, adolescents and adults. We believe in partnering with our patients to provide them with individualized, state of the art treatment plans. AAIR board certified providers have consulting privileges at Carolinas Medical Center and Novant Health Facilities. All participate in Pediatric and Internal Medicine resident education. AAIR board certified providers are currently accepting new patients, and we look forward to the privilege of meeting and caring for you and your family! 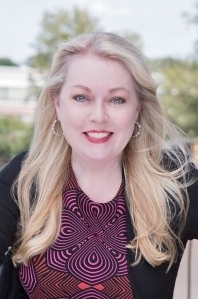 Please WELCOME Dr. Maeve O’Conner from CHARLOTTE, NORTH CAROLINA to our OIT Desensitization Directory! In 2010, Carrie Rhodes Babin told me about this incredibly vibrant allergist in North Carolina who told her all about OIT but couldn’t help her due to being in a practice with others who resisted the idea. Carrie told me to “watch for her” because this doctor is going to do “amazing” things. And Carrie has been around the allergist-scene for over a decade with her son who is currently still persevering through milk OIT. “She needs to break free and do her own thing.” Well she has and I’m certain you will appreciate and adore her like her current patients and those of us who have been fortunate enough to share a part of her busy day.